Here I am 5,000 miles away from my home Hilo, Hawai’i in one of the most famous cities in the world, having the experience of a lifetime with the AOL Corporate Events team. For me it’s more than just being able to intern for a great company like AOL, I’m fulfilling my dream of living in New York City. So, let’s start with how I fulfilled my lifelong dream. This internship could not have been possible without the strongly convincing Facebook post of my good friend Brady Smith. He posted, “Check out my about.me, it’s actually a really cool website and you should probably make one if you know what’s good for you.” After reading that last phrase I instantly made one. It took me about a week to realize that there was a contest for one of five internships with AOL. Again thanks to Brady Smith, he came up with the great idea of creating a Facebook group where we invited all our friends and asked them to go vote for our pages. 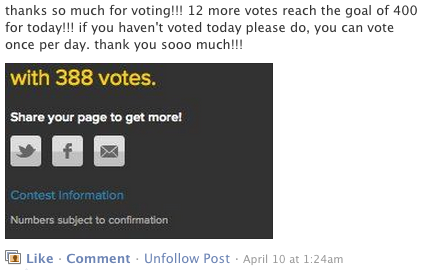 For a month I was constantly sharing my about.me page link to my Facebook wall, and posting status updates to go vote. One tactic that worked was setting a goal for the amount of votes to reach by the end of the day. I would screenshot the amount of votes I currently had in the morning and then share it saying “Let’s reach this amount by the end of the day.” When twenty more votes were needed to reach the goal I would screenshot and share again. I think it got people excited to vote, and by saying “let’s” made them feel more attached to the contest itself. After all the pleading for votes I passed the first round, and then came my first ever phone interview. Before the interview I just told myself, just smile the whole time while speaking and try to be as professional as I can be. Thankfully the atmosphere was really casual and throughout that 25-minute interview I think 10 minutes of it was me laughing and saying “It’s just exciting.” Two days after the interview all the doubts and me over-analyzing the interview set in thinking I probably wouldn’t get it. In my mind at the time I was already picking out summer school classes. Then, two weeks later I wake up to the cheerful AOL Corporate Events team calling me and saying I got the internship. I literally had no words, one because I was half asleep and two simply because I got the internship! I was so shocked that I had to call back to confirm 20 minutes later, when I was fully awake and it hit me what had just happened. 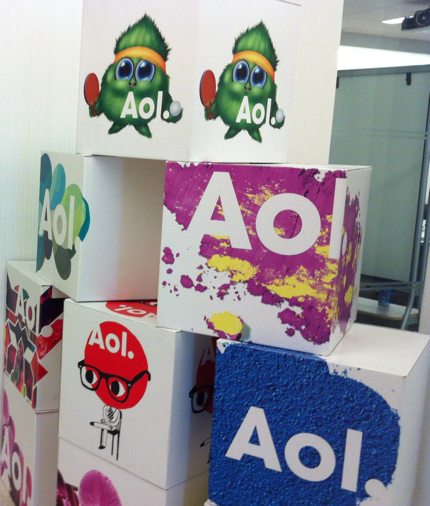 I’ve been with the AOL Corporate Events team for about three weeks and I absolutely love it. I just thought it was amazing how they had me working and running errands in the first three days of interning. By the third day I was taking a taxi uptown to grab chocolates for guests, on location by myself loading passengers into a van, and staying in the office till 11:30pm helping setup an iPad wall. I wouldn’t have wanted my first few days any different. To make things even better, my events team members and co-workers are the some of the nicest and most down to earth people I have ever met. Not only does this internship give me hands on experience in large scale event planning, but I also get to tour NYC at the same time. 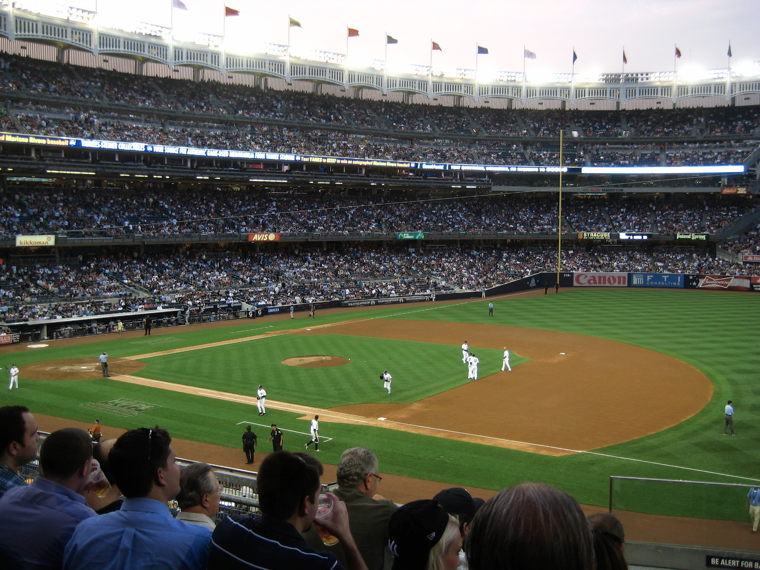 I’ve been able to eat breakfast at the famous Balthazar Restaurant, see the Crosby Hotel, view the whole 5th Ave in a taxi while on an errand, go to Dylan’s Candy Bar, and even attend a Yankees Game! On top of that, being able to see Arianna Huffington, Tim Armstrong, Jordin Sparks, and the rest of the AOL Executive team in person is just amazing. I love being able to walk through Soho everyday after interning while going back to my apartment. Already this internship has gone beyond my expectations, and my dream of experiencing city life has been fulfilled. Thank you again to everyone that voted throughout the contest, Lauren Bloch, the whole AOL Corporate Events team, and my parents for letting me spend my summer across the country. If it’s one thing I’ve come to realize after being here for three weeks is that I’m not looking forward to the day I have to leave my internship with the AOL Corporate Events team. The funny thing about opportunity is that if you are vocal about the opportunity you want it seems to quickly find you. If you had asked anyone who knew me prior to about.me running their contest, they would tell you that, I, Patrick Millegan was entrepreneurial and looking for a way to break in to the start-up scene in Silicon Valley. Because of this, my friend Charmaine Ng texted me hours after about.me began their internship contest on April 4th – she said she thought this would be perfect for me, and she was right. I kid you not, as I was looking up the address for the about.me HQ – in walk 3 Yemeni students who I didn’t know very well, but lived at the apartment complex, to tell me that they were going to San Francisco for the weekend and wondered if I would like to come with them. Funny how things work out sometimes, right? Their names were Ammar, Rabie, and Sami and they became very good friends of mine. I heard about the contest on 4/4, and on 4/5 I was in a red 2009 Mercury Milan with 3 awesome Yemeni kids driving to SF. So the #PSmoovment began (from my twitter handle @PSmoovvv). I gussied up my about.me page, made a cover/profile photo for my Facebook and started blasting out the link http://about.me/pmillegan as fast and frequently as Oregon’s Offense scores touchdowns (S/O my alma mater: GO DUCKS!). You can see all of the YouTube videos I made from my trip by searching “#Psmoovment” on youtube, or by clicking here. I live-tweeted/YouTubed my trip in an effort to catch the eye of @aboutdotme, so that I could maybe secure an audience while I was driving down, but thought it would be more fun to show up unannounced and meet them for the first time as the kid who just kind of showed up at their doorstep. I ended up meeting 8 members of the about.me team, which turned into 8 votes 🙂 (9 if you include Nicole, the front desk receptionist at AOL- Palo Alto). They were incredibly nice, as nice as they could be to some guy that walked into their office. 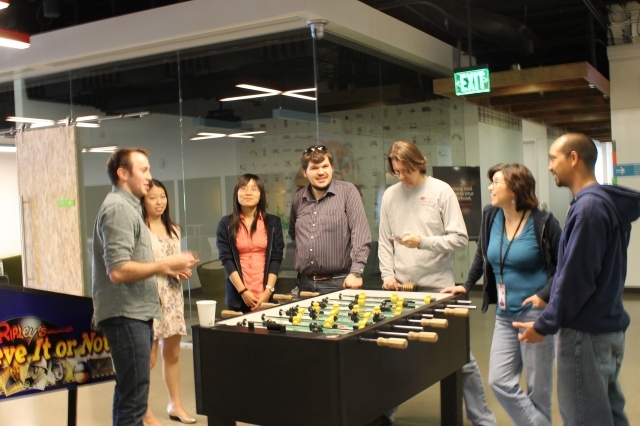 The AOL Palo Alto office was incredible and I could quickly tell that this was environment I wanted to be in. I hung out with the team for about an hour and then proudly exited the office. As I drove back to Eugene from SF I knew I wasn’t going to have the time to really put into the campaign. I had 2 jobs and took 18 credits. So, when I got back I scheduled out my campaign. I wrote a press-release about my roadtrip that I was going to ship out to every relevant news sources I could find. I scheduled reminders to vote on my twitter through twuffer, and I decided that I would screen shot my vote total every morning and post to facebook. In addition, I set up a mailchimp newsletter that allowed people to sign up for daily reminders. My launch was complete, my campaign was in place, and now it was in the hands of the many to respond to my call for more votes. The only follow-up I did was holding some videos of a-12-year-old-me-singing-some-of-your-favorite-disney-tunes hostage until I got a certain amount of votes. In the end I ended up getting the call to come to San Francisco to intern with the amazing people at about.Me. I am honored and excited to be spending the Summer as their intern in SF, and can’t help but feel super SUPER blessed/lucky/fortunate to be given this opportunity. Oh yeah, and THANKS TO ALL THAT VOTED FOR ME!!! Now all I have to do is make the most of it and kill it at this internship. 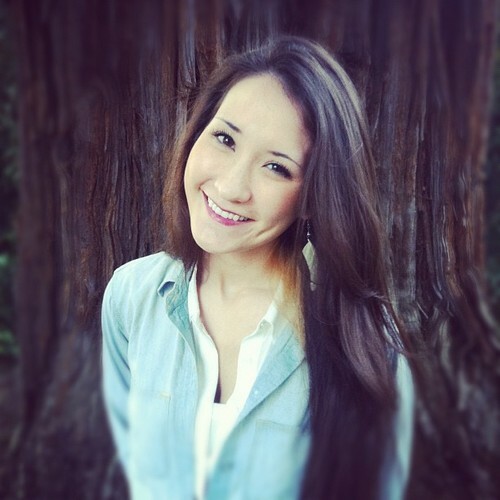 Natalie Kyong Swope is a senior at the University of California, Davis where she majors in computer engineering and minors in technology management. 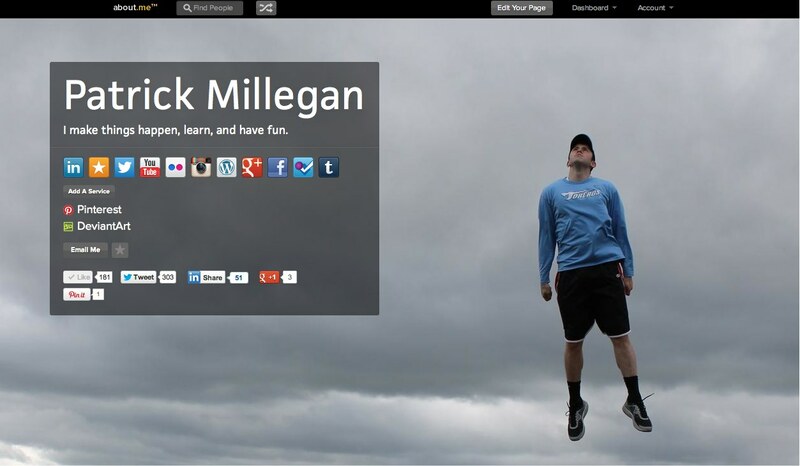 When I first created my about.me page, it was not because I thought I would win a contest. For the past two years, I’ve held a passion for technology and networking online. I am confident to say that I have explored nearly every service, social, and resourceful web page out there. I spent Saturday nights on my computer – whether I was blogging on my “Learn Techno Logic” blog, creating page templates on my Bamboo, or browsing any free software uploads I could find– I was growing. For what cause? At the time I had no idea. After entering the about.me contest in April, I decided to check for updates. To my surprise, I had a message in the right corner of my screen from the contest update notification. I was in the top 5%! I couldn’t believe it. I was ecstatic! To me, that message in the corner of my screen was like my own personal coach warning me to pick up speed and go for it. So, I didn’t stop at Facebook. Or Twitter, LinkedIn, Tumblr, Foursquare, Flickr or Posterous. 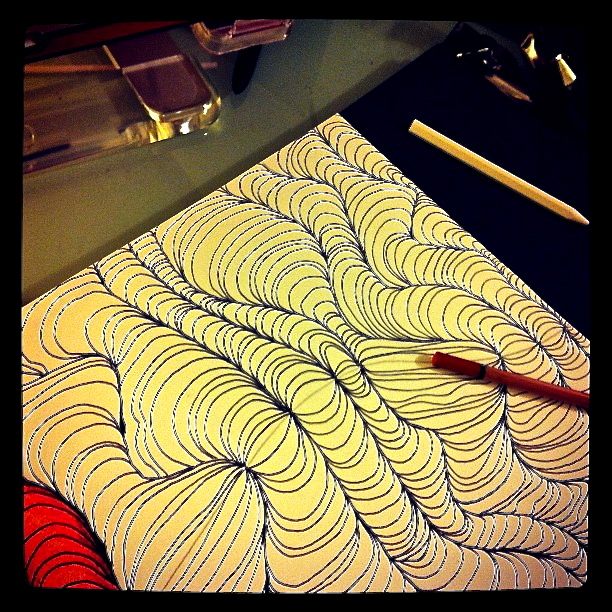 I started thinking of new ways to promote my about.me page and new audiences I could discover. Social networking was no longer the only option because I had promoted myself on every site. I’ve always loved the idea of QR codes and found it curious that they haven’t been used more frequently. I made a QR template (which took hours) and planned different ways of using it. 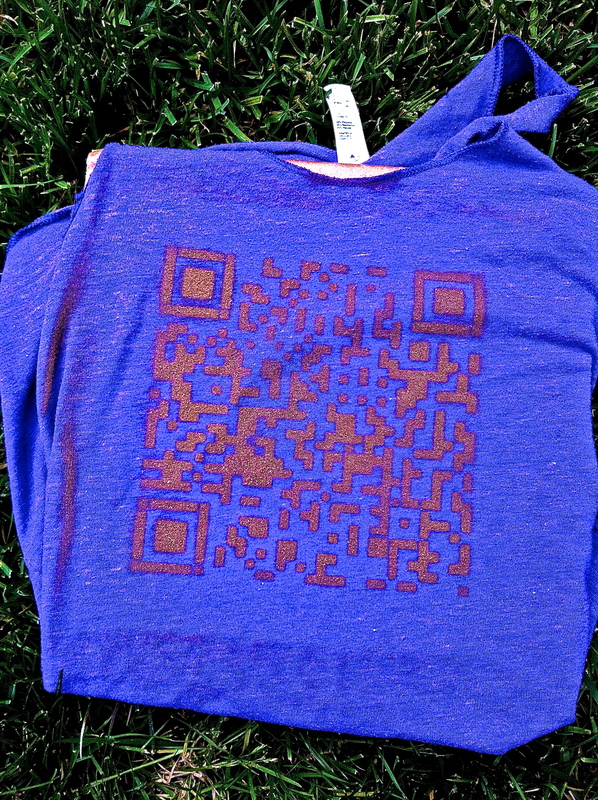 My first strategy was to spray paint my code template on shirts and hand them out to my friends and sorority sisters. While online searching for QR items, I was redirected to a site that created stamps and sold ink pads as well. The prices weren’t very high, so I ordered 1 QR stamp and 1 pad of purple to be expressed mailed to my home in Davis. I decided to print stickers too. Hundreds of stickers that I cut out and stuck in random places. One morning, I went to Michaels and purchased cake batter, cupcake decorations and icing. I went home and made 88 cupcakes that night. The next day I found the site, http://sweetntreats.com, and immediately ordered as many custom cupcake toppers as I could afford. My custom order was a picture of my QR code centered within each topper. When I received them, I stuck them on my pre-iced treats and distributed them. The house I lived in at UC Davis frequently hosted mixers or BBQs for our friends or chapter. I displayed my Moo.com business cards (with my about.me address included) by the speakers. Each card had a different painting or picture I made. People noticed them, and asked me if they could take some. I was more than happy to give them away and encouraged everyone to vote. I also left my stamp and stamp pad out. Throughout my campaign, I made sure I was still sticking to my normal, college-life routine. I continued to blog, attend my classes and write articles for HackCollege.com. I tried to keep myself distracted, but the contest eventually ended and I would get nervous as the days passed and my phone remained silent. The call finally came, and I was a nervous wreck. I talked to Jesse Chambers, the Director of Sales Operations & Monetization for AOL Tech (including TechCrunch, Engadget, TUAW and Joystiq). We ended up having a long but interesting discussion about a bunch of things. Some topics were about my passion for technology and reason for wanting the position, my experience and degree challenges, and my future plans (even though my plans are more like a rough, almost non-existent outline). When I hung up the phone, I felt great. I talked to a really nice, easygoing person and had a noteworthy discussion. When I was informed that I, Natalie Kyong Swope, won the contest and a summer internship with TechCrunch… I still can’t find the words to express the excitement pouring over me. I was, to say the least, extremely thankful. I was proud of myself and grateful for both Jesse and Caitlin Geraghty (HR for AOL) for presenting me with the news. I actually want to let them know now that this opportunity means the world for me and I want to thank you both for treating me so nicely! I won’t let you down over the next 3 months – I promise!